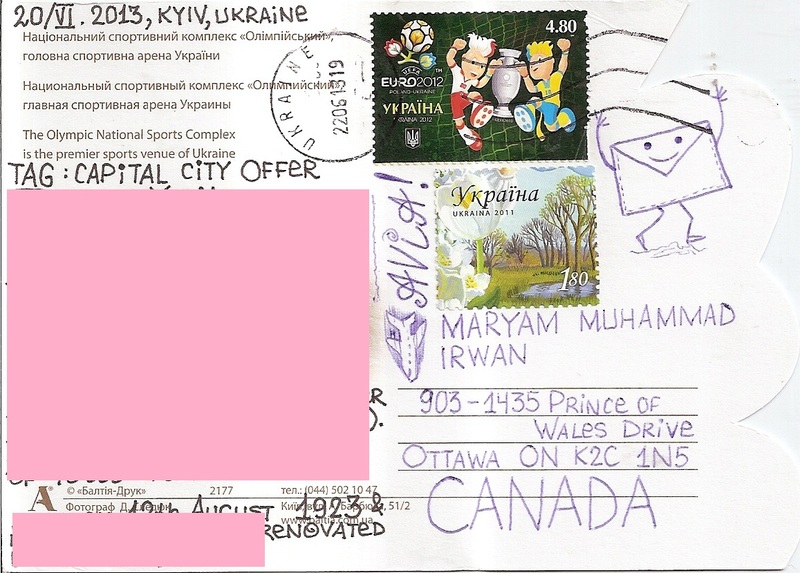 Another postcard from Ukraine, sent by postcrosser Yulia for capital city offer tag in postcrossing forum. 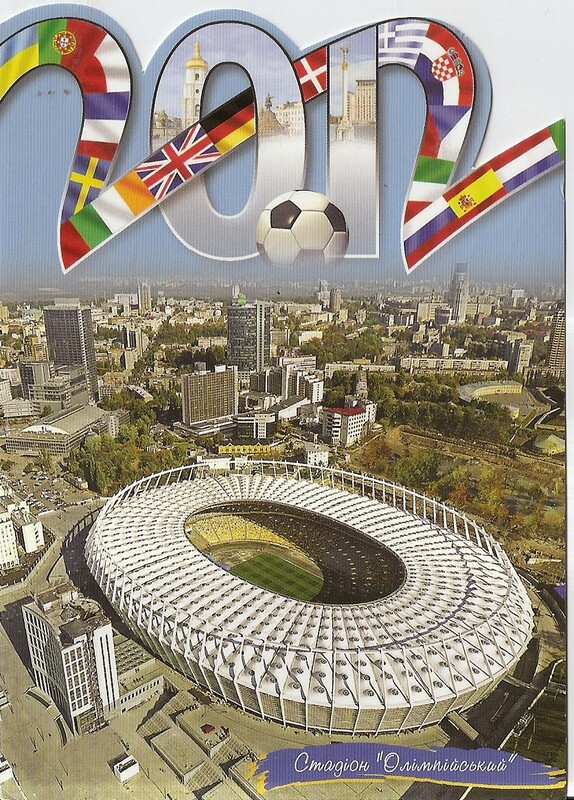 Yulia sent an odd-shaped postcard showing the Olympic National Sports Complex in Kiev, which is one of the venues for UEFA Euro 2012. At the back, Yulia affixed two stamps, one of them commemorates UEFA Euro 2012. The postmark date is 22 June 2013. Thanks a lot Yulia!